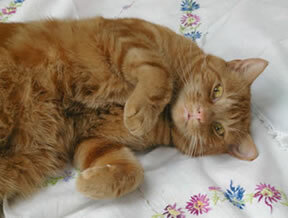 Ziggy is a four year old ginger cat, neutered, with no collar or microchip, who has been missing since last Sunday 8th May. He lives in Festing Road and it is very out of character for him to stray. I've been in contact with the RSPCA and the local vets but no word. If you think you may have seen him please call Chris on 07979652837. Thanks.